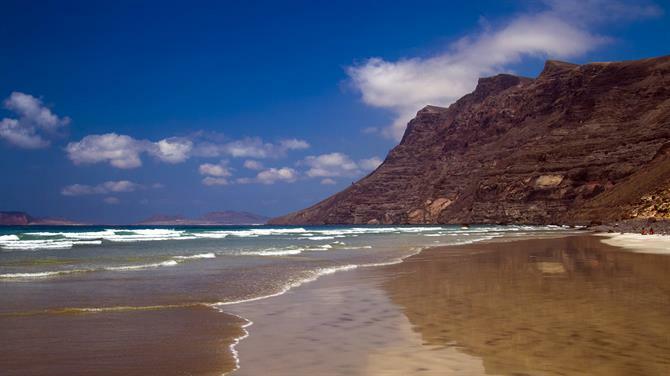 Some of the most beautiful beaches in the Canary Islands can be found in Lanzarote. No grain of sand was left unturned in the search for the best beaches in Lanzarote. 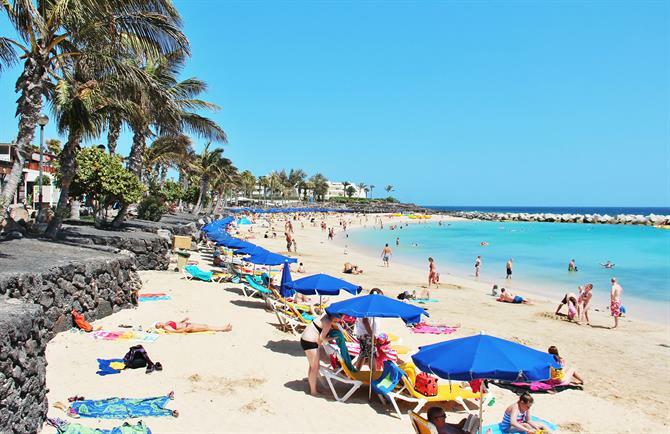 Discover in which municipality the beaches are located in and plan which ones to visit from your holiday rental in Lanzarote as well as what to expect upon arrival. 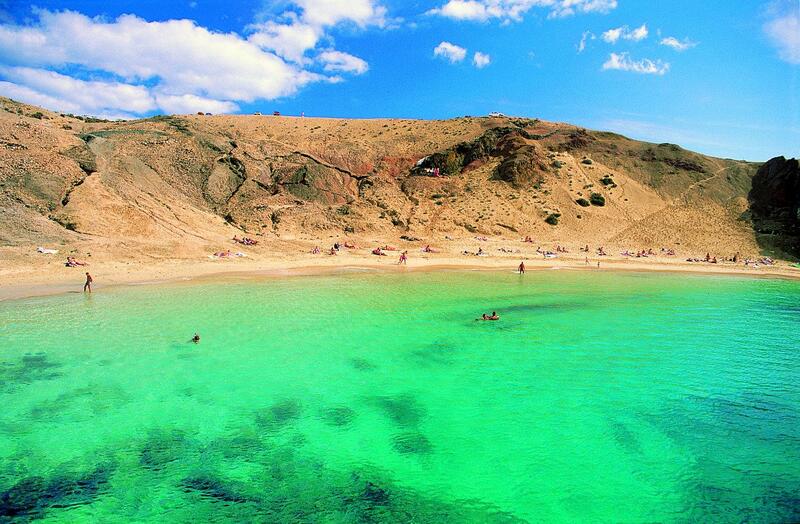 If its isolation you crave, hop on to a ferry from Órzola to La Graciosa, the Canary Islands unofficial eighth isle. Allegedly the setting for Robert Louis Stevenson's Treasure Island, these days you'll find more yachts than pirate ships. 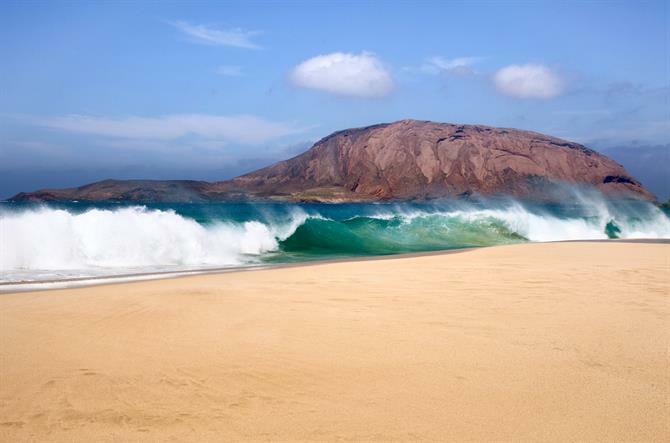 Playa Francesa, La Graciosa's Southern belle of a beach is a 45-minute hike from capital Caleta de Sebo. The title is a bit of a misnomer, as there is not just one Papagayo beach but a series of them. However, the main Papagayo playa is the last one you'll reach before the Punta del Papagayo, travelling east from Playa Blanca. These out-of-the-way beaches are best travelled to by on foot or by 4x4 along a dirt track, although a water taxi is another option. What appears to be a never-ending beach does indeed extend into kilometres. The wind's a factor if you're planning to eat on the playa itself. Thankfully, there are bars looking out onto the beach where you're less likely to end up with a sandy sandwich. 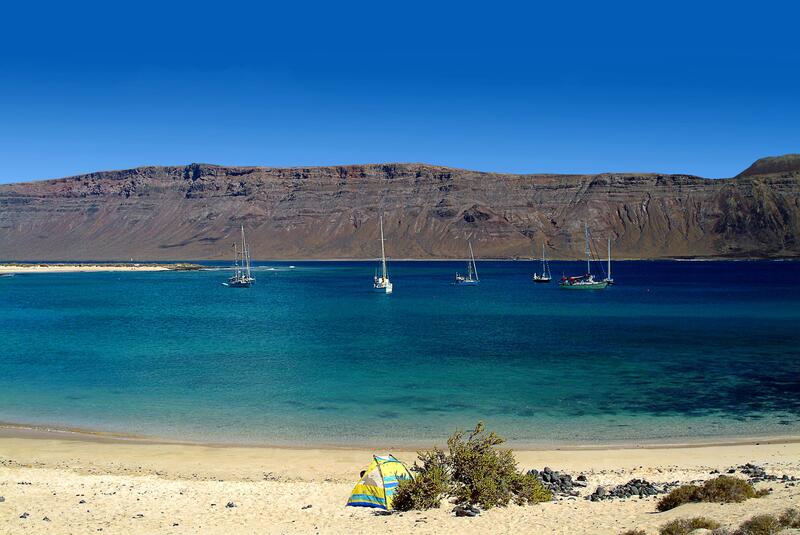 On the small island of La Graciosa, you will find a collection of small coves known as Playas de las Conchas. One of these is La Graciosa beach the place for acquiring an all-over tan rather than a spot of swimming but is one of the best nudist beaches in Lanzarote. Just look at those waves. If you've never tried naturism before, this is as good a place to start as any as there are easily more shells than people. 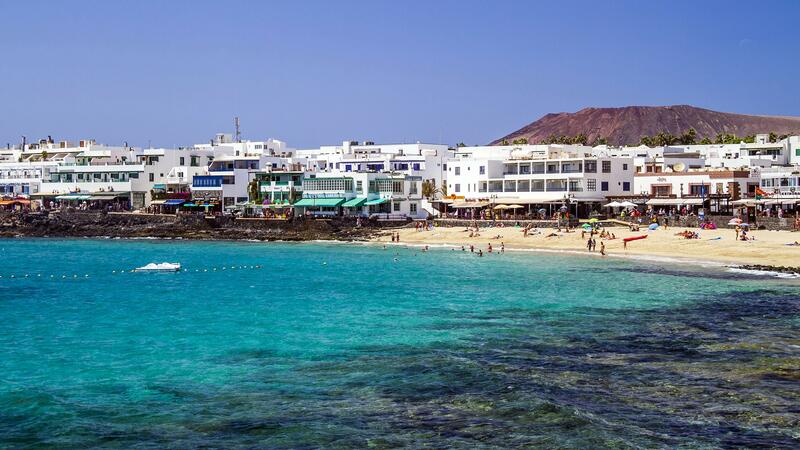 Just like on other Canarian Islands such as Gran Canaria and Tenerife, Lanzarote's north coast's a stretch of shoreline which many visitors miss out on as they head down to the resorts in the south of the island. But how can you miss out on Órzola's Caletón Blanco beach? Where ebony, as in the dark black lava rocks, and ivory, as in the bone-white sand, sit together in perfect harmony. Part of the malpais (badlands) belonging to La Corona volcano, this is a Lanzarote beach gone wild. There is no car park, meaning you can leave your vehicle on the beach itself. 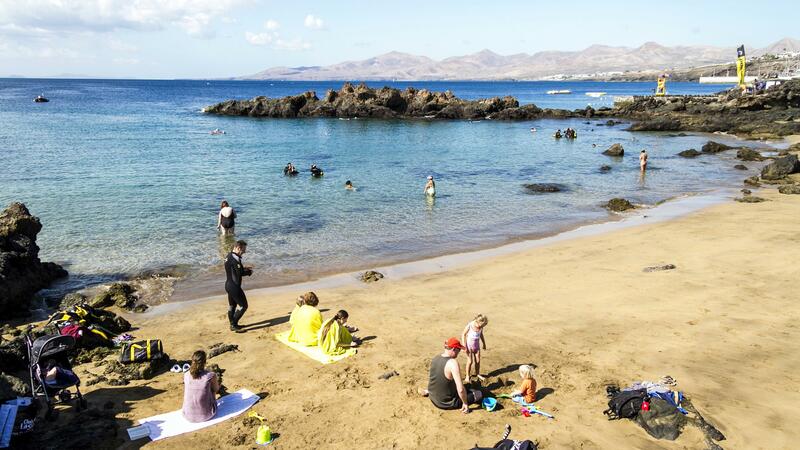 The natural swimming pools created by the tide are great for young paddlers and family holidays in Lanzarote. 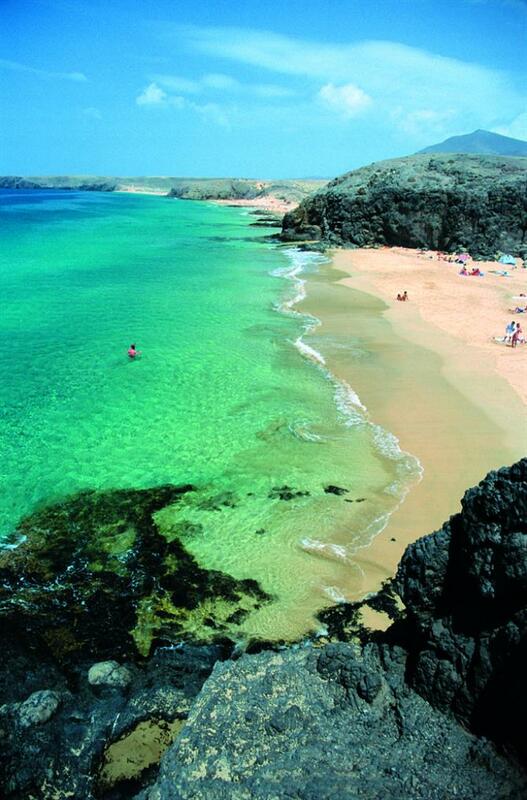 Sheltered in the Los Ajaches Natural Park lies the best collection of beaches in Lanzarote - Playas de Papagayo. Welcome to paradise! Little bit of interesting history with a splash of luxury. Get to know a little bit more about luscious Lanzarote! 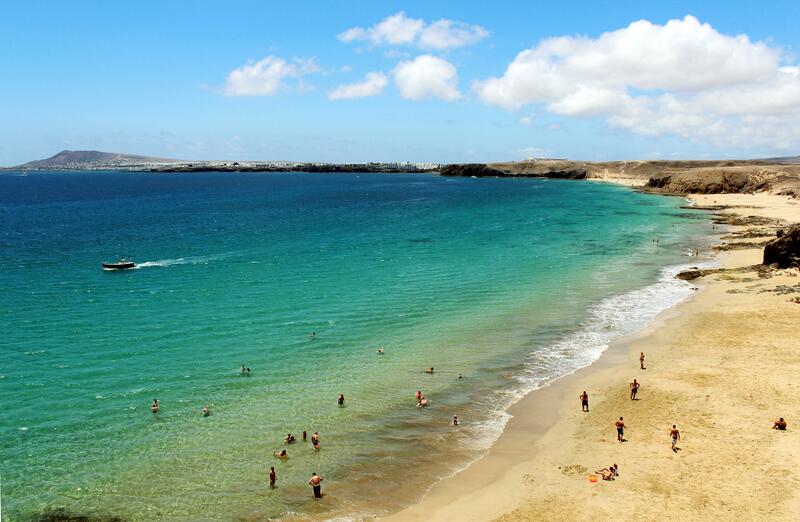 Lanzarote's beaches perfectly fit a lazy sunny afternoon. But put on your walking boots to get to know the island. Hey, you're walking on sunshine. Do you want to bring back an eminently quaffable souvenir from Lanzarote? Best visit a bodega then. Here are seven superb wineries in Lanzarote.